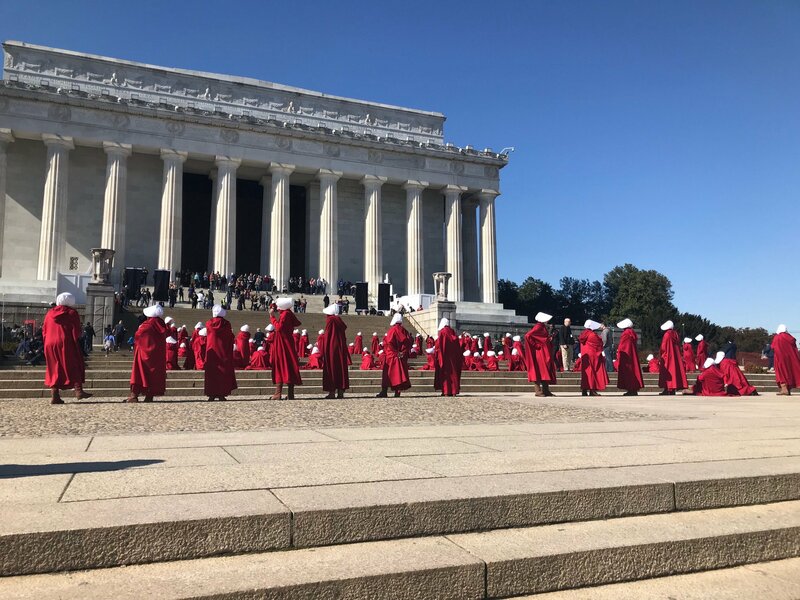 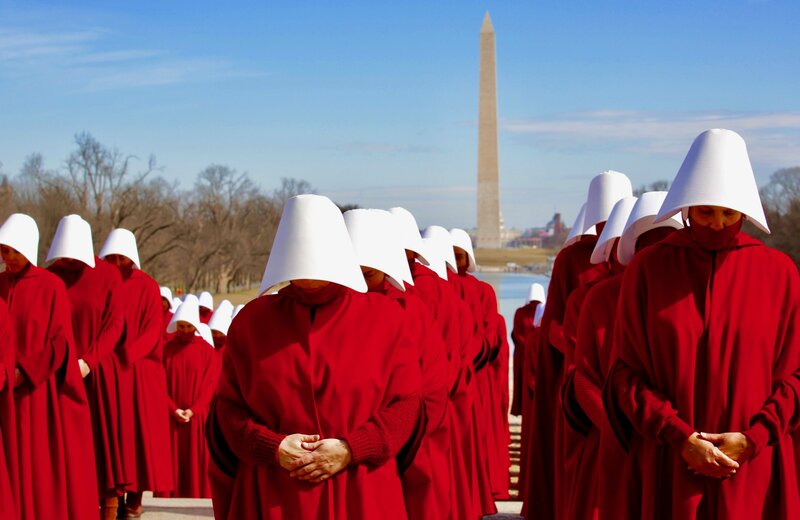 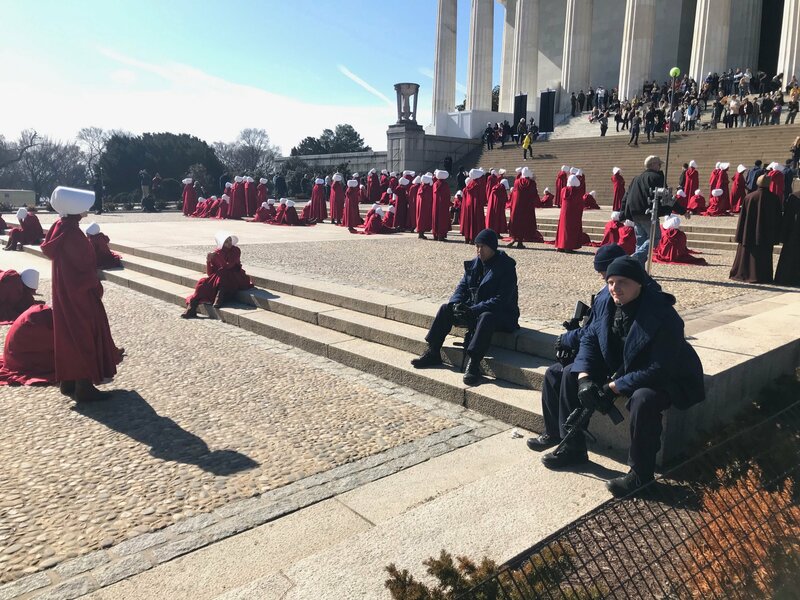 “Oh my God, they’re filming Handmaid’s Tale!” one jogger shouted to another, before quickly changing routes and aiming for the Lincoln Memorial. 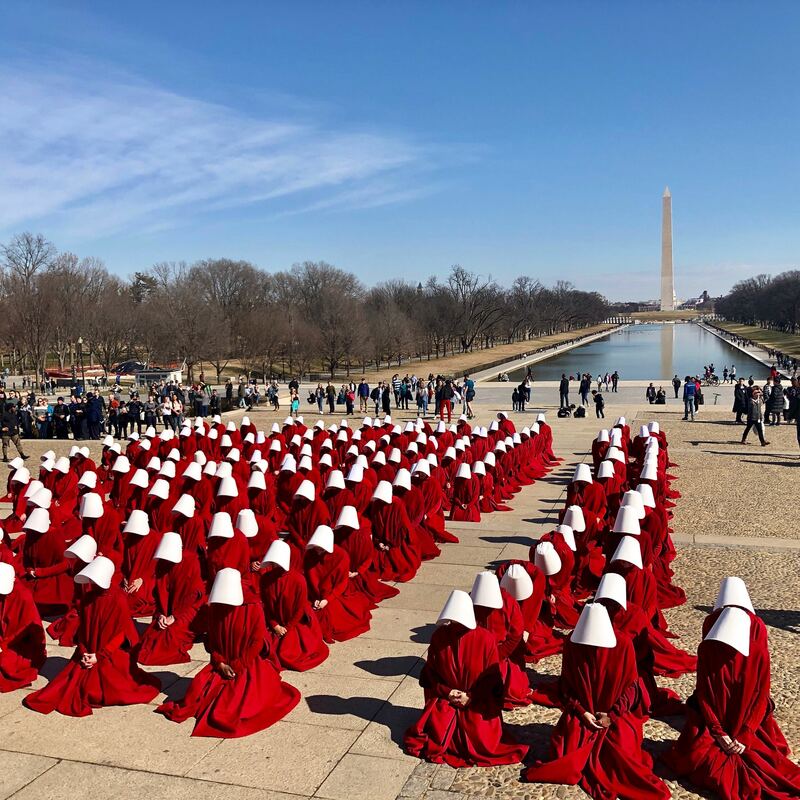 We followed suit, and sure enough, more than 200 actors were filming a scene for the third season of the popular Hulu series. 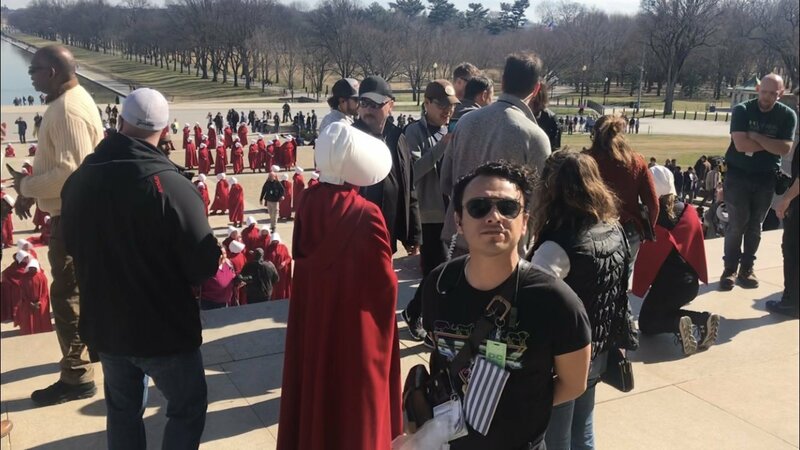 We asked one of the actors (who preferred not to be named) how she ended up in the scene. 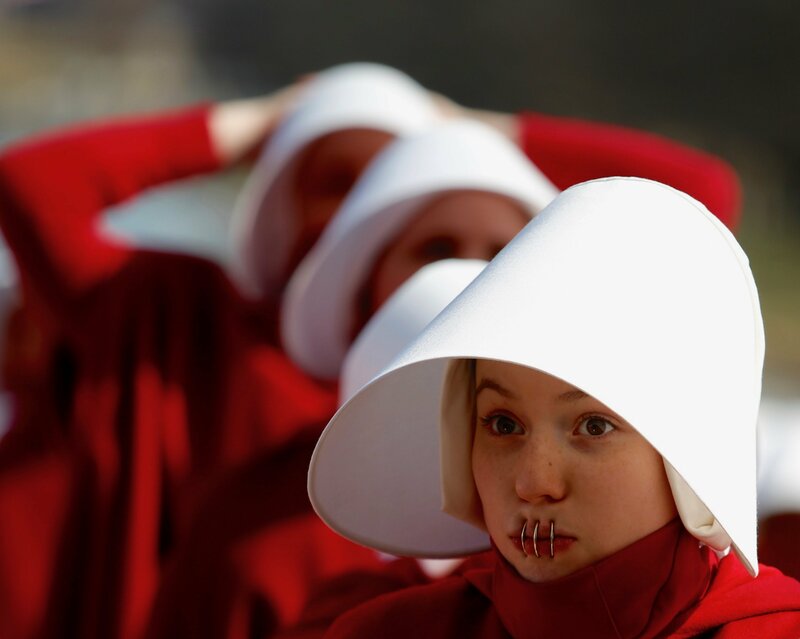 She told us she’s a local actor who simply responded to an online casting call. 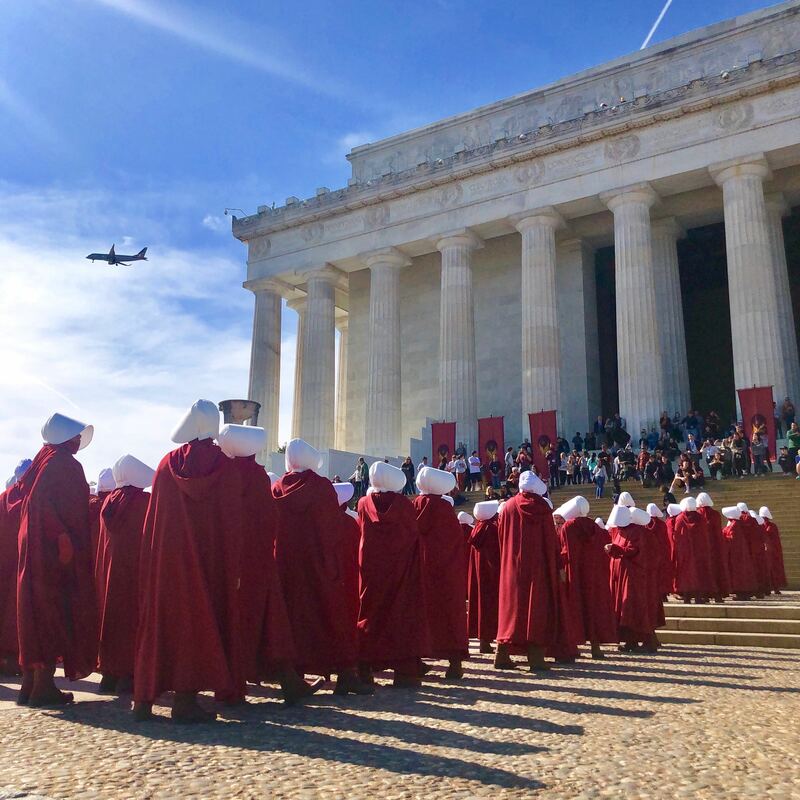 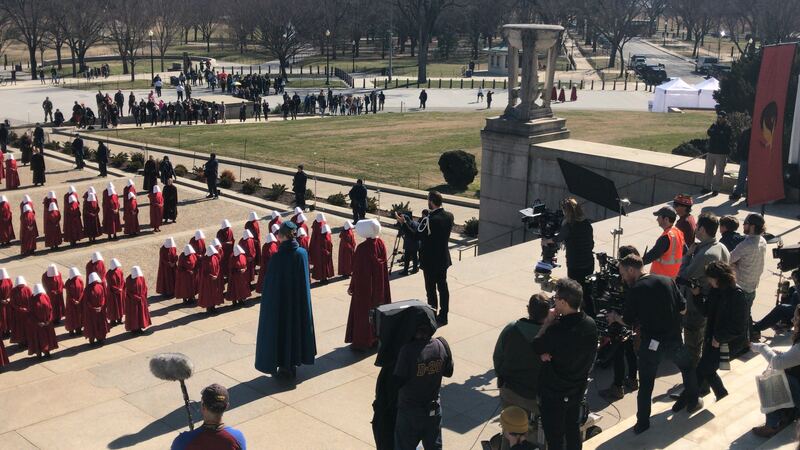 In the scene we witnessed [SPOILER ALERT], Elisabeth Moss (who plays Offred) could be seen joining co-stars Joseph Fiennes and Yvonne Strahovski at the top of the Lincoln Memorial steps. 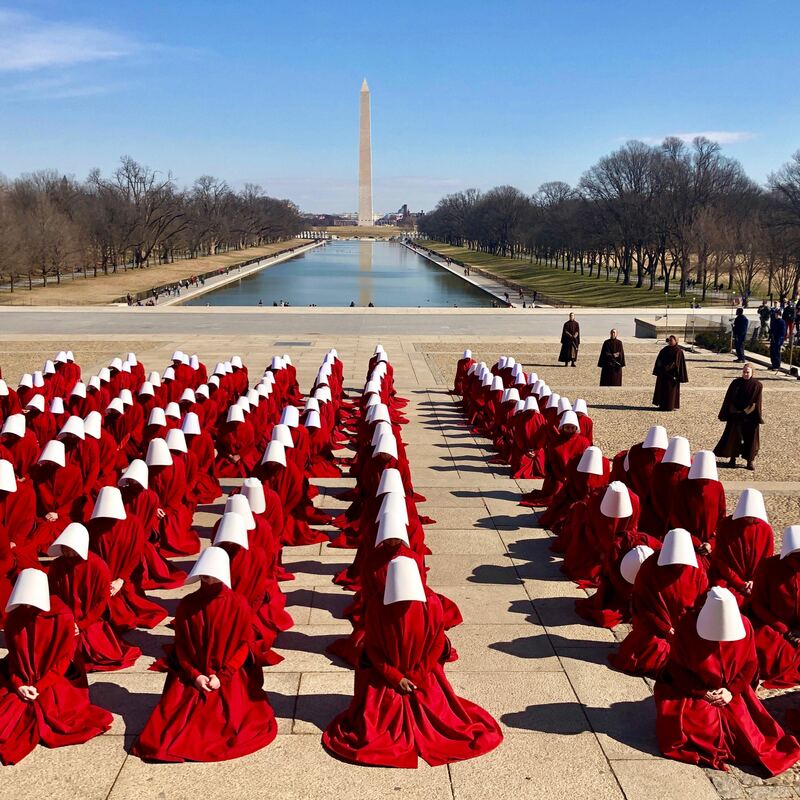 Fiennes could be heard saying, “Lord above, we beseech you. 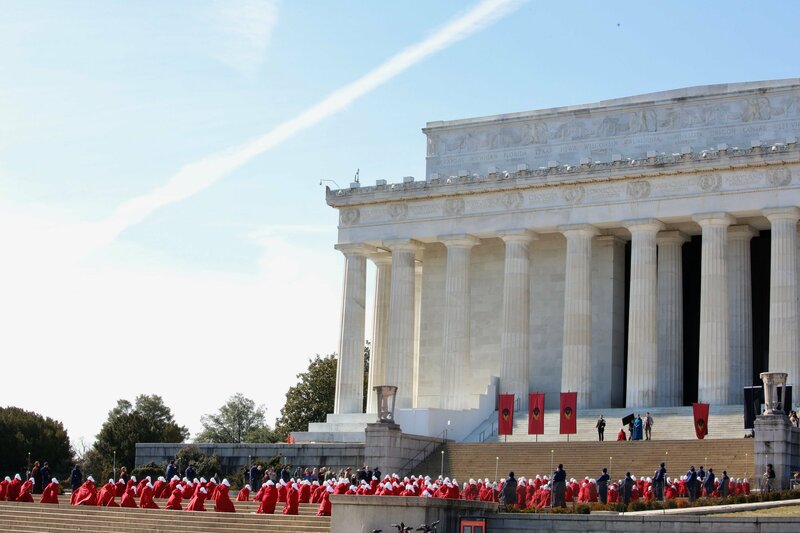 Hear our prayer,” before all the handmaids knelt in unison. 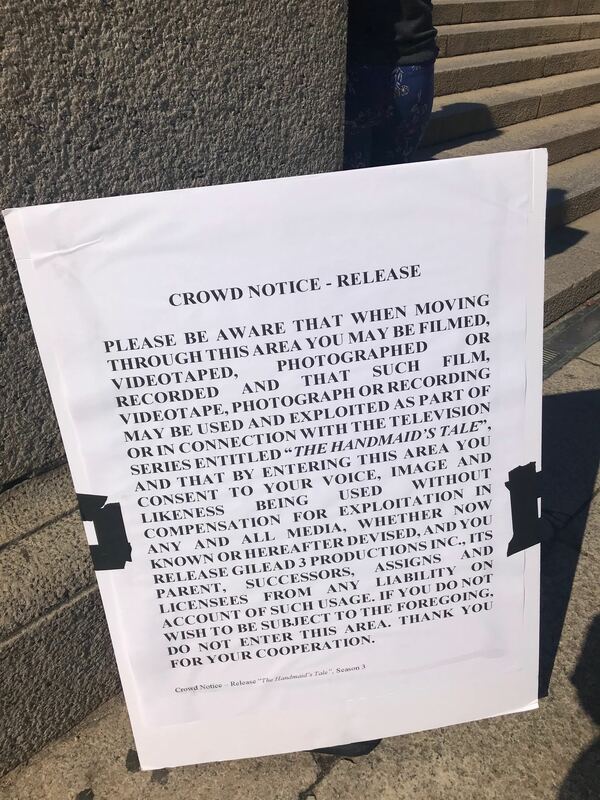 A crew member said they’d be filming “until the sun goes down,” so head on over if you want to get some pics of your own.